The Department of State Services, DSS, has revealed that Boko Paramedics, prior to the release of the Dapchi schoolgirls demanded “cessation of hostilities and temporary ceasefire”. 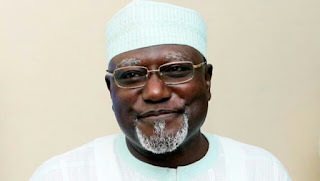 DSS Director General, Lawal Daura made the disclosure while revealing the role of the secret police in securing the release of the girls. He spoke when President Muhammadu Buhari received the released girls at the Aso Rock Presidential Villa, Abuja. According to Daura, the process of negotiating the process of the girls’ release was complicated and painstaking. He said, “However, before you today, Mr. President, are two additional young primary school pupils, namely Hafsat Haruna, an 11-year-old primary six pupil, and Mala Maina Bukar, 13 years old and also a primary six pupil. “The remaining six Dapchi girls are yet to be accounted for, and dialogue on these students is still ongoing. “It may be recalled that the President had given a clear directive to security agencies to use peaceful options to ensure the timely and safe release of the girls. “What followed were intense behind-the-scene dialogue spearheaded by the Department of State Services. “The insurgents’ only condition was their demands for cessation of hostilities and temporary ceasefire to enable them return the girls at the point they picked them. “They required assurances that the government security forces would keep to this. “The exercise was arduous and quite challenging. The sensitivity of the operation and some uncertainties surrounding it, particularly the routes to be used, nature of transportation, realization and concern that the girls were not kept at one place, issues of encountering military checkpoints within the theater and indeed keeping the operation on strictly the “principles of need-to-know” made the whole exercise more complicating. “Beyond the release of the abducted girls, our primary interest for engaging in the dialogue was informed by the following: permanent possible cessation of hostilities, discussing the fate of the arrested insurgents and innocent Nigerian citizens being held hostage, and possibility of granting amnesty to repentant insurgents.